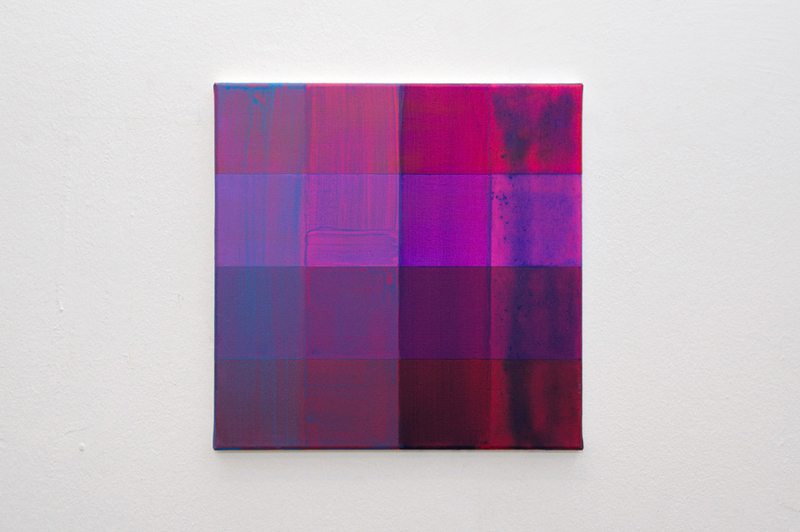 Bojne probe (color-battle probes) is a series of acrylic paintings started in 2018, in which the medium of painting is thematized. 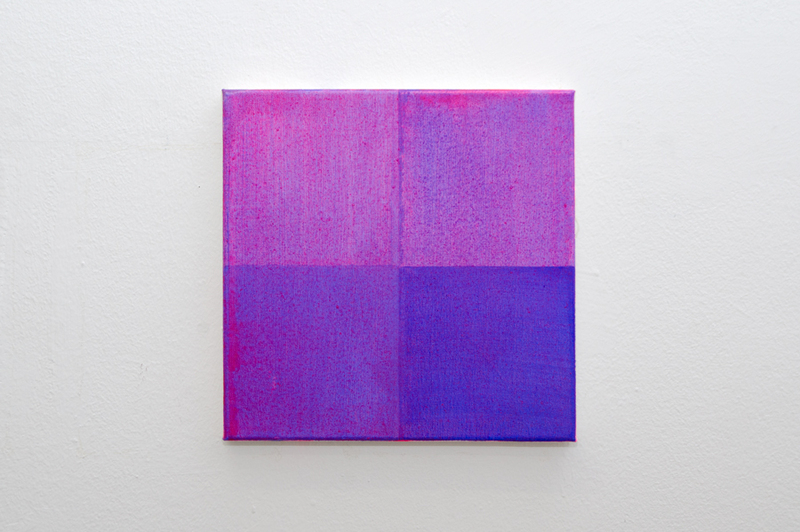 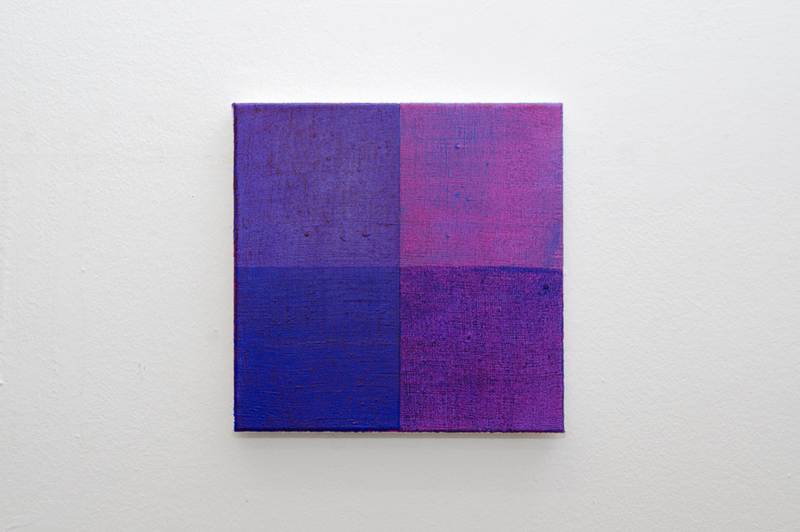 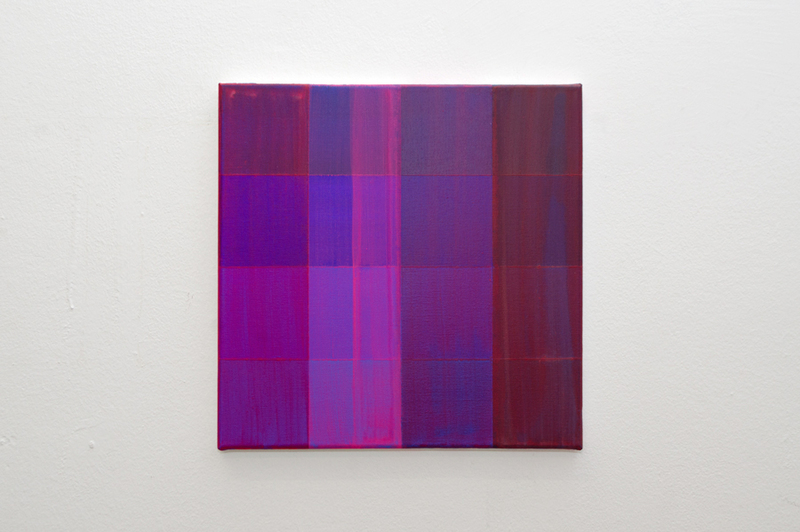 It represents the research process in the form of a series of color experiments aimed at achieving a particular violet-pink shade with a number of technical and color variations. 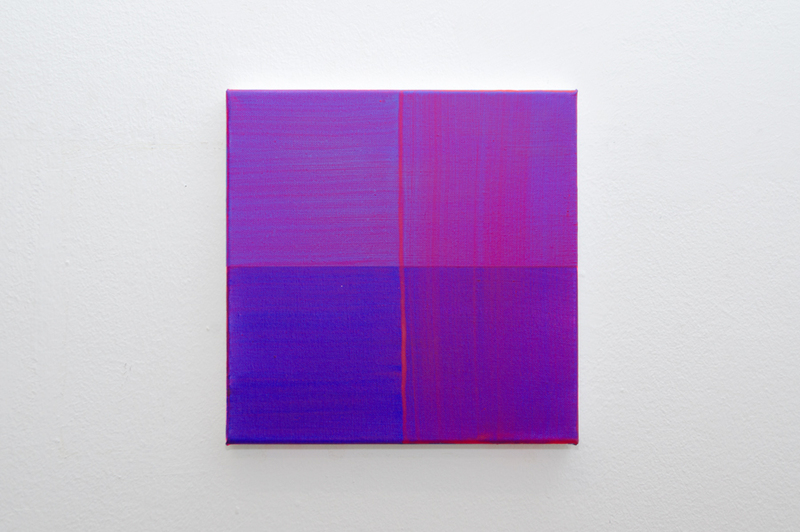 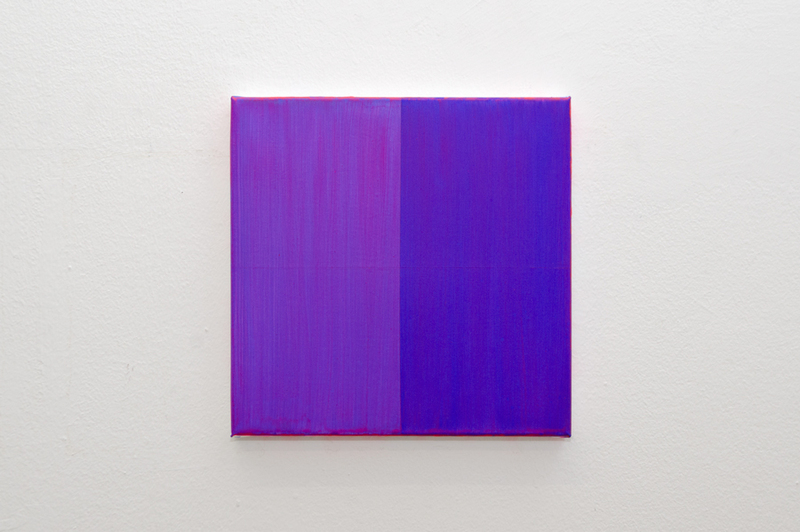 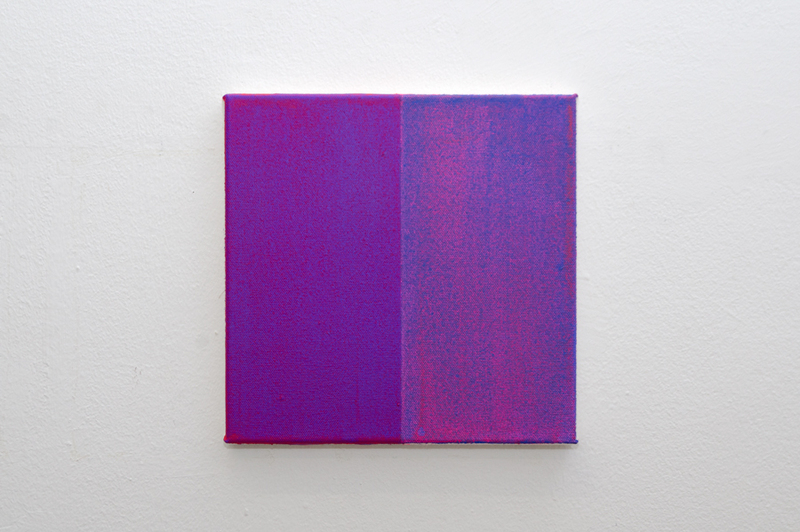 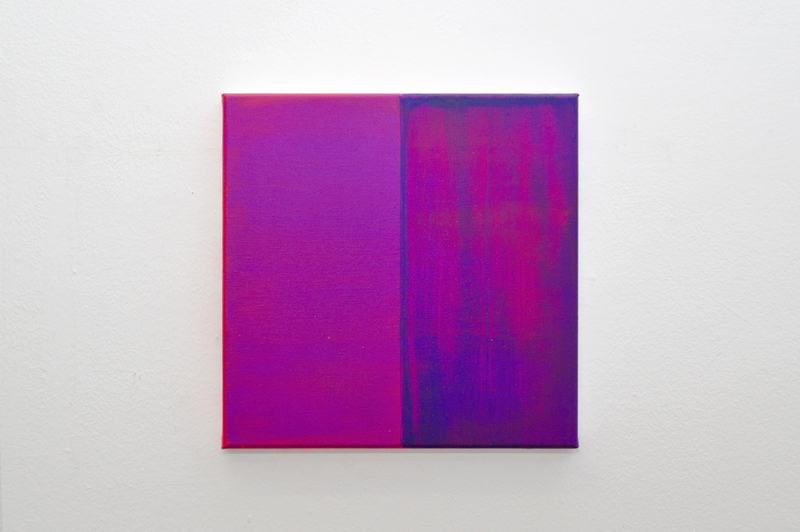 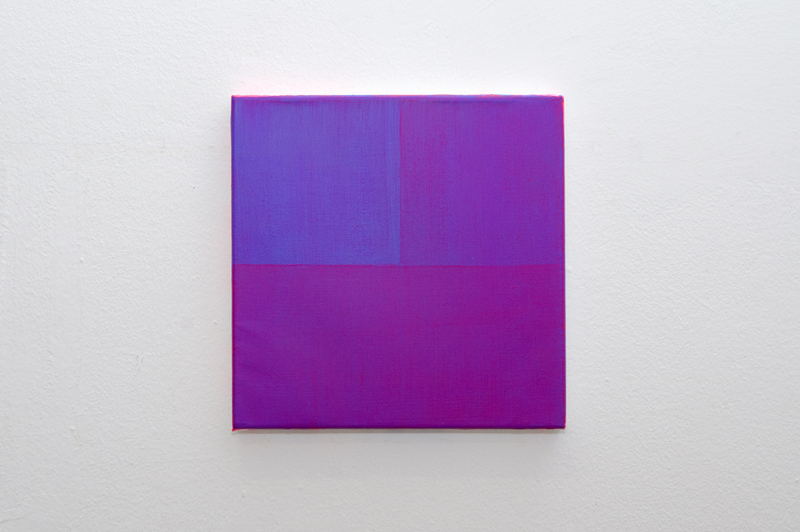 The purple pink shade is possible only as a visual intermingling of certain blue and red pigments, or a series of articulated painting procedures, basic scientific experiments. 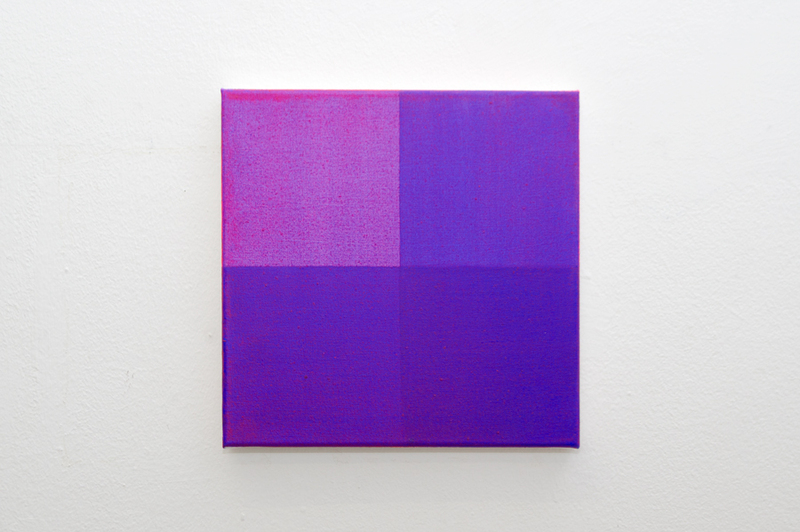 Different layers of individual colors and pigments can be traced on each of the canvases, revealing their characteristics and effects on other colors/pigments. 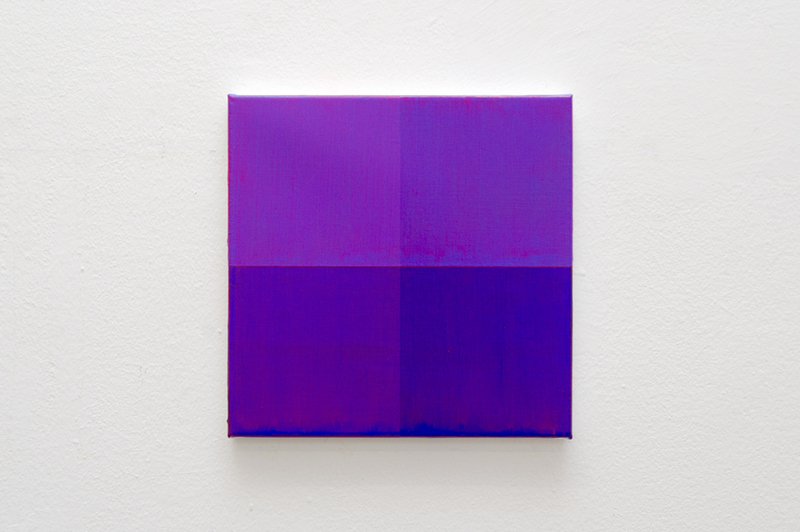 A series of images in the tradition of modernism, color field painting and geometric abstraction, is a visually accessible color theory, referring to painting practice and detailed knowledge of the material in order to overcome its limitations.